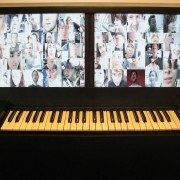 Every key on the keyboard is coupled on a short videoloop. 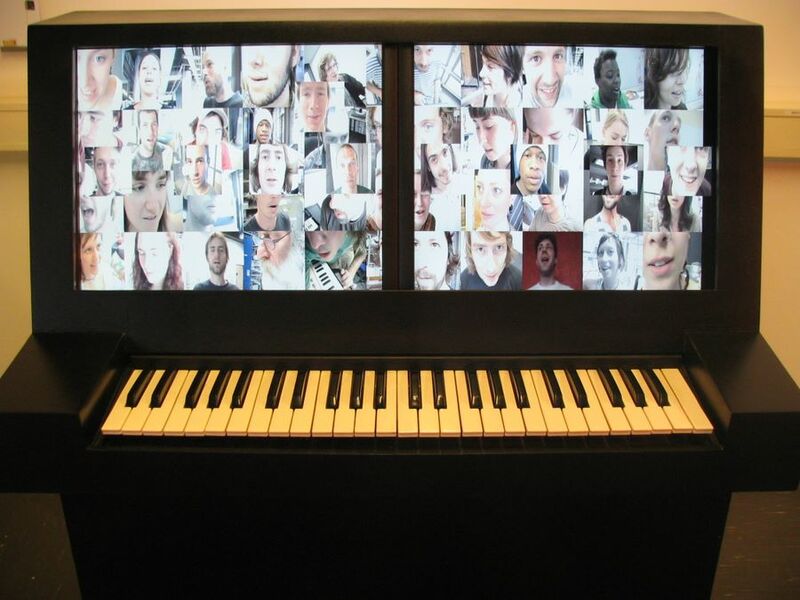 The loops shows people singing the tones of a three octave music scale + 12 key drumsection, based on beatboxsounds. 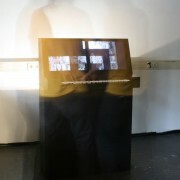 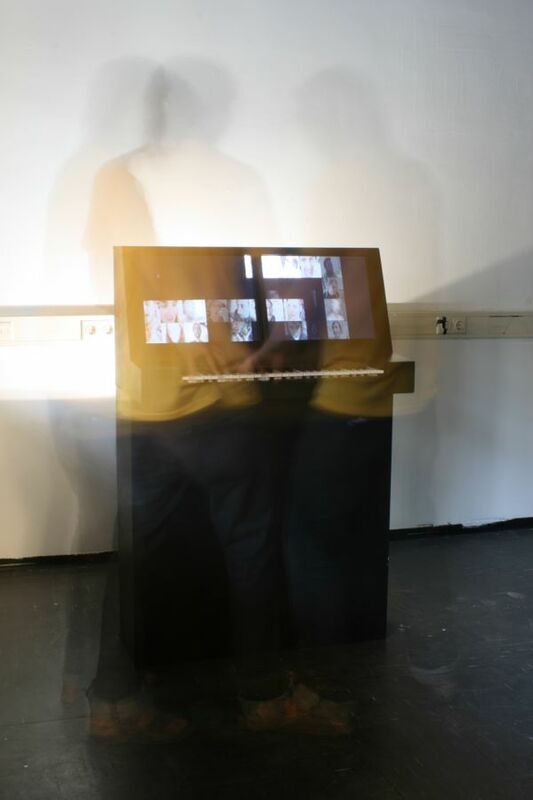 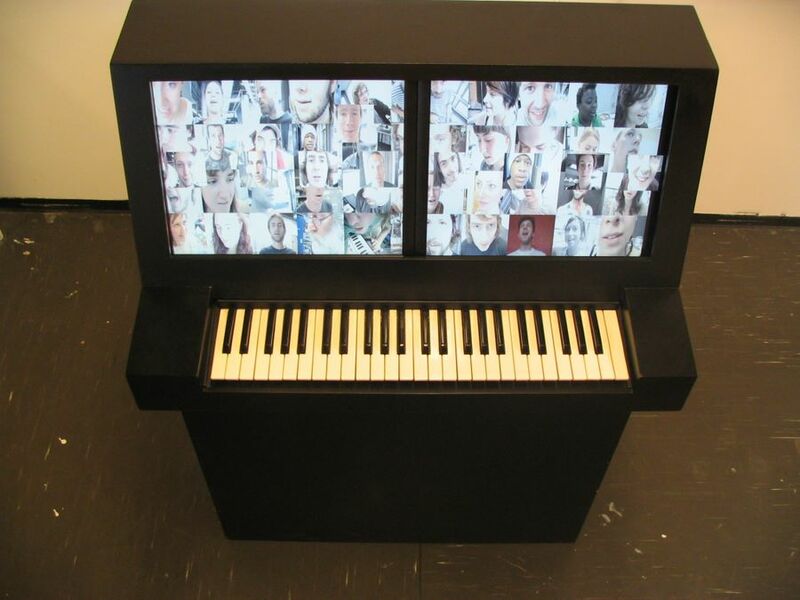 It can be played like a normal Piano. 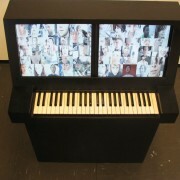 What u hear and see is people singing the tones wich are played on the keyboard.